Bed #7 is the last bed and completes the set. In the next few weeks I will post these sets on Thingiverse and add links to these entries. 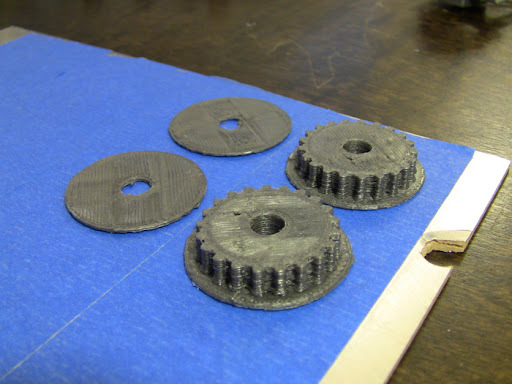 I intentionally left out the tooth pulleys from the large batches because I've found that they come out cleaner if printed separately. Bed #6 is just for printing the large z tooth pulleys, and bed #7 is for printing the smaller tooth pulleys that go on the motor shafts. 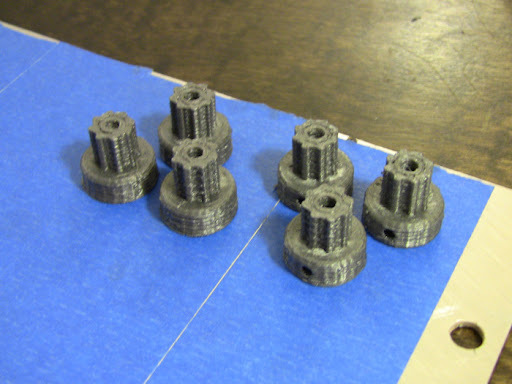 You only need three small pulleys for a Mendel set, but I've found that printing six at a time increases quality by letting them cool between layers. I took some pictures of the pulleys with some extra belt, showing that they are functional. 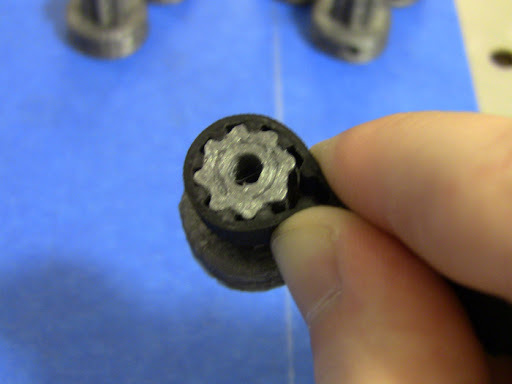 These pulleys are the toughest parts of the print to get right. 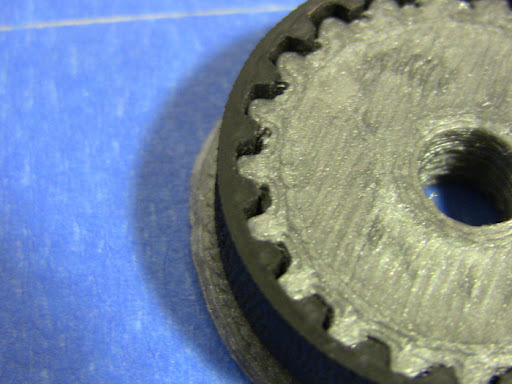 It's a good idea to have some extra belt lying around to prove they are functional pulleys.